On March 24, 1879, Marjorie Gray became Connecticut’s first female telephone operator. Working for the Telephone Dispatch Company of Bridgeport (which was taken over by the Southern New England Telephone Company), Miss Gray represented a new trend in telecommunications hiring practices. Before 1879, the company employed teenaged boys as their telephone operators. However, subscribers complained that the operators played pranks and were rude. To meet customers’ demand for patient, polite, and efficient service—qualities which the company decided were more likely to be found in women—female workers were recruited and trained to become switchboard operators. 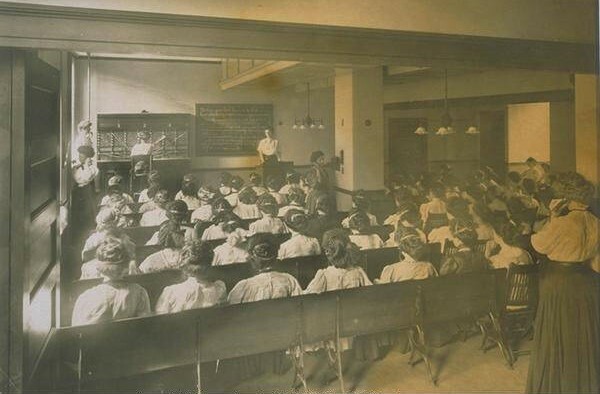 By March 1907, Southern New England Telephone had opened the nation’s first school for operators.